In the town of Cicely, Alaska, everyone is awake. In fact, nobody can sleep and, indeed, nobody wants to. The cause of this mass insomnia seems to be sunspot activity and nobody knows how long it will last. In the meantime, with all those extra hours in the day, the residents have taken up letter writing with a vengeance. This is another of E’s collection of books based on 1990s TV shows. Northern Exposure was, I’m led to believe, a gentle comedy show set in an oddball town where unusual things happened. This book contains a series of letters sent to by the inhabitants of Cecily and which document the strange phenomenon of sleeplessness that settles over the town for several weeks. It took a while to get into the book because there were so many characters writing letters that it took a while to sort them out, but it was a fun read. The two main characters are Fleishman, the doctor who is doing service in Alaska because the state paid for his medical education, and Maggie, normally a pilot but now grounded because every time she flies out of Cicely, she immediately falls asleep. They have a classic love-hate relationship which is thrown into high relief by the appearance of a dodgy neurologist who comes to study the sleepless town and for whom they both end up working. In parallel to this we have the other characters who are increasingly irritable as the book wears on until the de facto Mayor comes up with the great idea of staging a production of Guys and Dolls to cheer everyone up (and because he thinks it will be good for a shady business deal he is doing). Queue jockeying for roles, a general lack of talent and a lot of arguing. We also have the increasingly exhausted postmistress who has to deal with the massive volume of letters coming from this town of people with nothing to do with their time but write letters. And a man who invites three former lovers to visit and has to deal with the fallout when all three of them arrive. All in all this is a sweetly charming book, with some laugh out loud lines. You have to accept that the premise is nonsense, and that the plot is whimsical, but once you are past that it is quite fun reading all of their letters. It isn’t a challenging read and you can see the ‘plot twist’ coming a mile off, but it was a pleasant way to pass an afternoon. 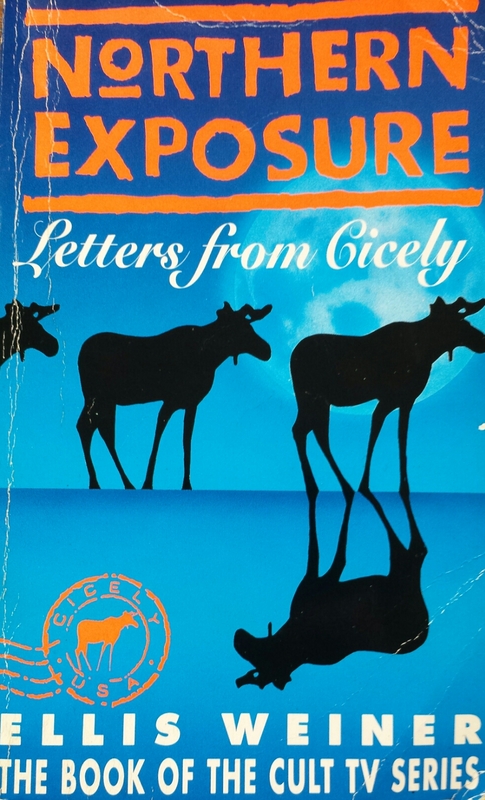 Tags: Alaska, book, book review, books, letters from cicely, Northern Exposure, novel. Bookmark the permalink. I used to love Northern Exposure! I had no idea there were books too. Until I started this reading challenge I had no idea that there were books about any TV series. I’ve learnt so much!